Everyone would like to be making more money. The more money that you make at your job, the more you can do with the other parts of your life. Certain jobs notoriously pay more than other jobs do. However, there are some other jobs that have the potential to be more lucrative than they may originally seem. It all lies in the details of the job. A lot of people who work as contractors are not making as much money as they could simply because they are unaware of the steps to take. Here are some tips on ways to make more money as a contractor. The reason people hire specific contractors is because they maximize the efficiency of a given project. The way to get more business as a contractor is by ensuring that your system and your team are as efficient as they can possibly be. This comes to the question of both speed and quality while maintaining a positive and personal morale. The speed is incredibly important. Your team must be equipped to start and finish jobs on an efficient and motivated schedule. If your team is synced into this rhythm, people will be more likely to hire you as a contractor because of your reputation of getting things done quickly. That being said, speed cannot be used to cover up a lack of quality. Your team needs to be well trained so that they can complete high-quality work in an efficient amount of time. By promoting efficient and high-quality work within your team, you will be hired more often and thereby make more money. People will be more willing to hire an optimistic team that is confident and capable when it comes to getting the job done. People are always more trusting of individuals or companies that are certified to do the jobs that they are paying them to do. One of the easiest ways to begin making more money as a contractor is to get a contractor’s license. A contractor’s license is an easy way to show potential clients that you know what you are doing. While it may seem like a potentially daunting and time-consuming task, it is actually very easy to get a contractor’s license. 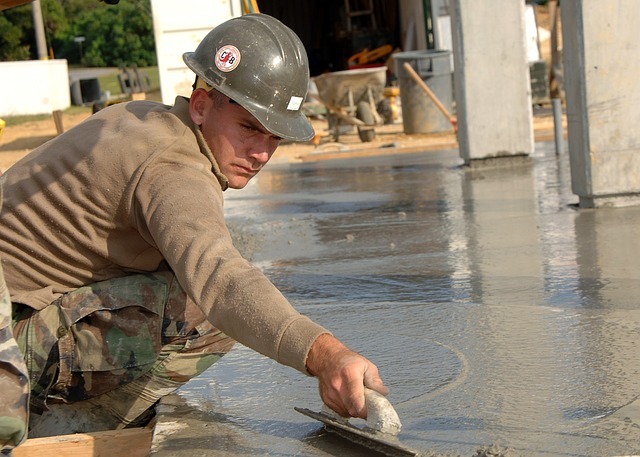 There are many online sites such as contractortrainingcenter.com that help to get you as ready to take the exam to get your contractor’s license. This certification will bring you the attention of a higher paying clientele. Getting the license is a good investment that will only serve to make you money in the end. When one starts looking to make more money, they often start out by looking to find more money on the outside rather than looking at what they already have. There are many small details on the job that may be costing you money that you could be saving for yourself. By paying attention to these small details and cutting down on the waste, you will already start to make more money. One easy way to do this is by making sure that you spend a few extra minutes ensuring that your tools are kept safely in good condition. The equipment needed on the job is very important and can often be expensive. The less often you have to replace this equipment, the more money you will save. The few extra seconds it will take to make sure that these tools are kept nicely will save you money. Furthermore, look at the unused materials after a job. Before deciding to throw everything that is excess away, consider saving it. You never know what you will need for the next job. By salvaging everything you can, you may end up saving yourself a lot of money for the next job. You will be being making more money without taking on more work for yourself.